I am an Acupuncturist and Herbalist in St Albans, Hertfordshire. For over 15 years I have been combining Traditional Chinese Medicine (Acupuncture/Fertility Acupuncture and Chinese Herbal Medicine) with massage, Shiatsu, dietary recommendations, life style advice, and breathing method for deep relaxation to give caring, supportive and effective treatment. The focus of treatment is to use Traditional Chinese diagnosis to improve the overall well being of the patient, promoting self-healing rather than the isolated treatment of specific symptoms. 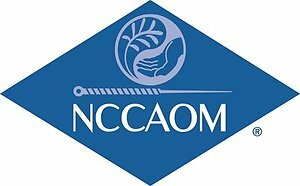 I am an experienced, fully qualified, accredited member of the British Acupuncture Council, the Register of Chinese Herbal Medicine and NCCAOM. I have in these 15 years worked extensively with Fertility, infertility, IVF support and gynaecological problems. I have also helped many women conceive after several miscarriages. Traditional Chinese Medicine (Acupuncture and Chinese Herbal Medicine) has been used for over 2000 years and has withstood the test of time. Acupuncture is extremely relaxing in stressful today's way of life. Relaxation is essential to the good functioning of our bodies, promoting fertility and immunity. Acupuncture is ideal for IVF support as it helps relaxation during the whole process. The best way to prepare yourself (both male and female) is to be in your best condition for 3 months before treatment begins, (please read the article in Fertility page). I first started seeing Kyoko after struggling with autoimmune disease, chronic pain and fatigue for about a year and a half. I found acupuncture and herbs to be incredibly helpful for my pain and energy levels and slowly but surely improved. After six months of seeing Kyoko, I felt well enough to switch to fertility acupuncture and , to my surprise, conceived within two cycles. -------I am extremely grateful to Kyoko for all of her help and for the kindness and professionalism she showed me throughout treatment and at a very difficult time in my life. I would recommend her to anyone. I had been suffering with IBS for about two years before I contacted Kyoko. I had got to the stage where my life had become severly restricted. I had to cut down my work hours, and it wasn't possible for me to make any commitments away from home. Most days I had nausea, diarrhea and I felt extremely fatigued.---------I'm now at the stage where I feel healthy most days, and I can live a normal life. The acupuncture and Chinese medicine, combined with Kyoko's advice and support have made a real difference to me. The clinic is conveniently located for not only those living in St Albans but also the surrounding areas of Hertfordshire such as Harpenden, Radlett, Wheathampstead, Welwyn Garden City, Hatfield, Redbourn, Potters Bar, Hertford, Rickmansworth, Kings Langley, Abbots Langley, Hitchin and Watford. If you are interested in booking a first consultation, or have questions about Traditional Chinese Medicine, please call me, or text me on 07914 251190 for a free initial 15 minutes telephone consultation. You can also email me. I look forward to hearing from you.